This paleo hummus is absolutely scrummy! Ditch the chickpeas and say HELLO to cauliflower! 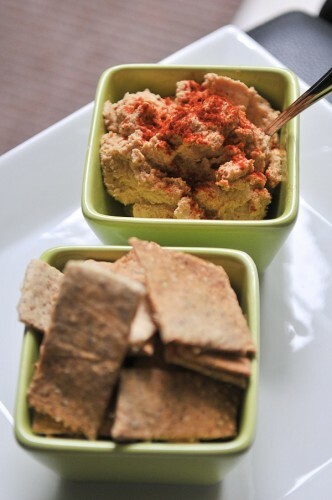 Serve with our paleo crackers, sweet potato chippies or paleo bread! Boil the cauliflower florets until soft. With a stick blender puree the cauliflower. Mix in the tahini, garlic, paprika and lemon until smooth. Season with salt n pepper and refrigerate for 30 minutes and serve with a sprinkle of paprika! If you are short on time, use a microwave to cook your cauliflower.